One of the most tedious tasks involved in aerating is actually transporting the aerator. With a transport speed equivalent to a casual walk, travelling from green to green can be painstaking. 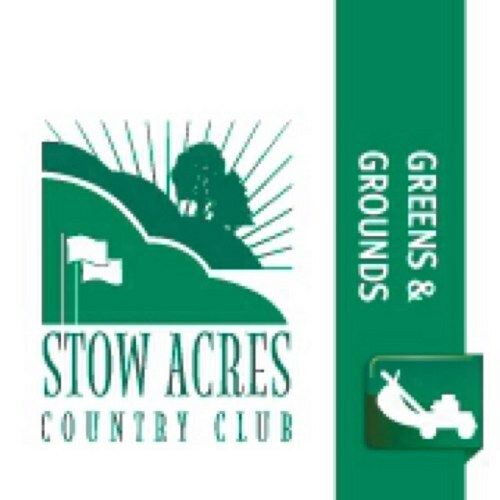 For fairway spot aeration, 90% of the time required for the job is often spent transporting. 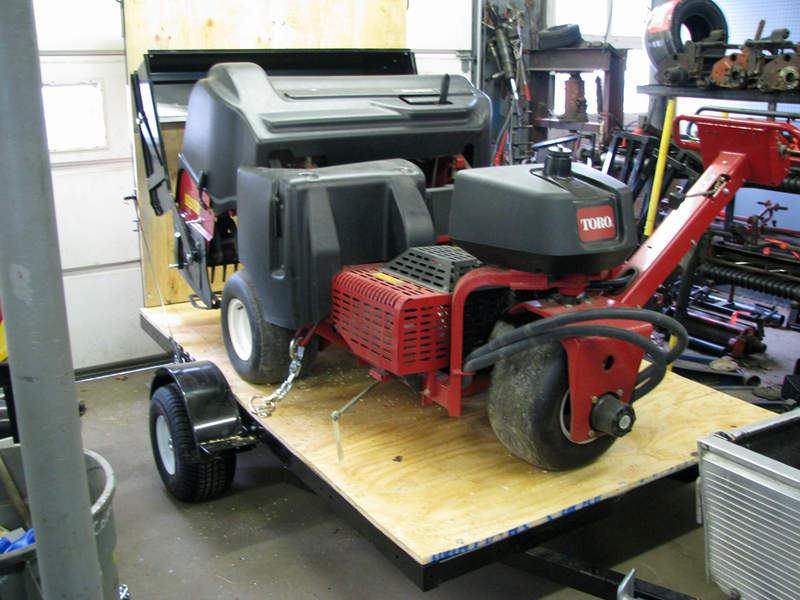 Assistant Superintendent Kevin Bracken came to us this winter with the idea to build a custom trailer for our Toro Procore 648 aerator. Since the manufacturers haven’t ever tackled this project, we hit the drawing board. 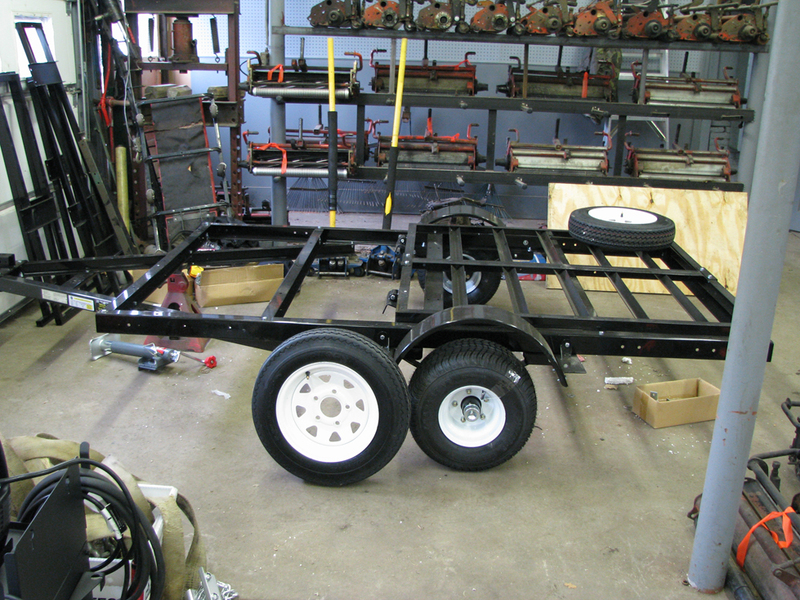 We started with a 1500 lb capacity trailer from harbor freight. The tires were too tall and too narrow for this application, as they increased the approach angle, and would leave ruts in the turf. We switched them out for shorter, 2x wider tires, which were rated for 2000+ lbs. From there, to help accomodate the weight of the aerator, we switched the 3 leaf 1500 lb springs for longer 4 leaf 2000 lb springs. 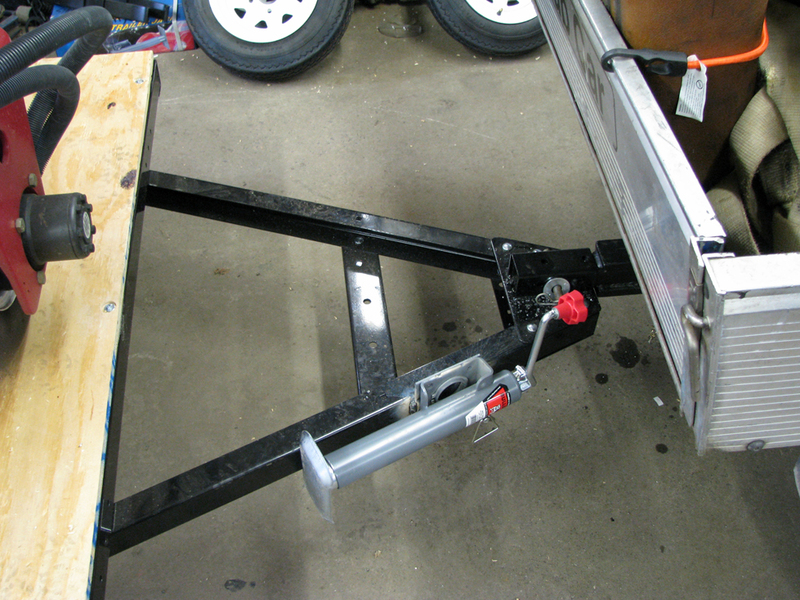 Since the aerator has such a short ground clearance and wheel base, the breakover angle of the machine needed to be factored into the angle of the tailgate ramp. To accomodate this, we stretched the tailgate 12″. 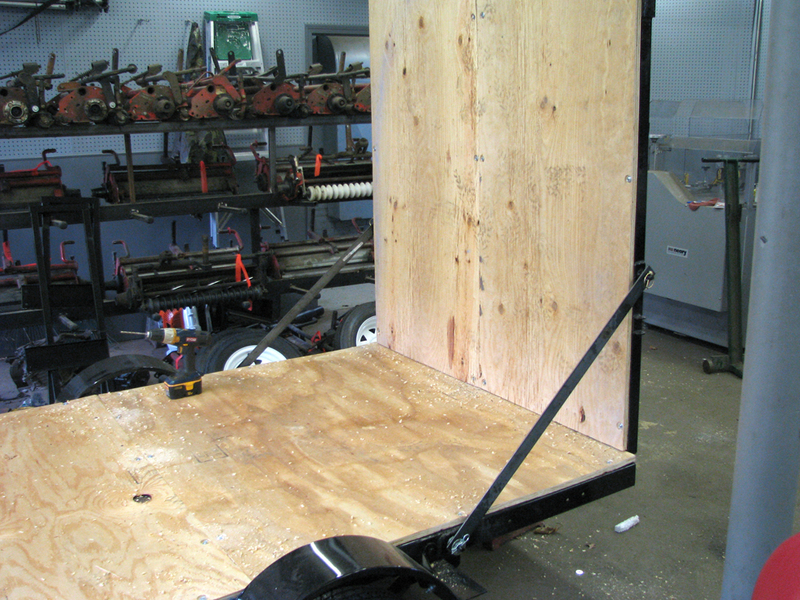 The deck and tailgate were covered in 3/4″ plywood, and we fabricated tie bars and mounts to hold the tailgate up during transit. To quickly and effectively secure the aerator during transit, we used spring loaded rigging hooks, 3/8″ chain, and d-rings. 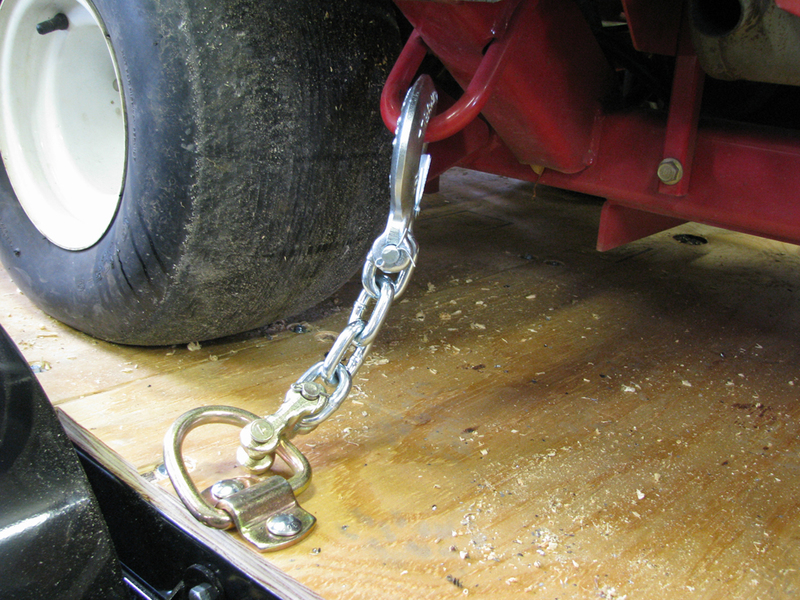 For storage, a trailer jack was added. 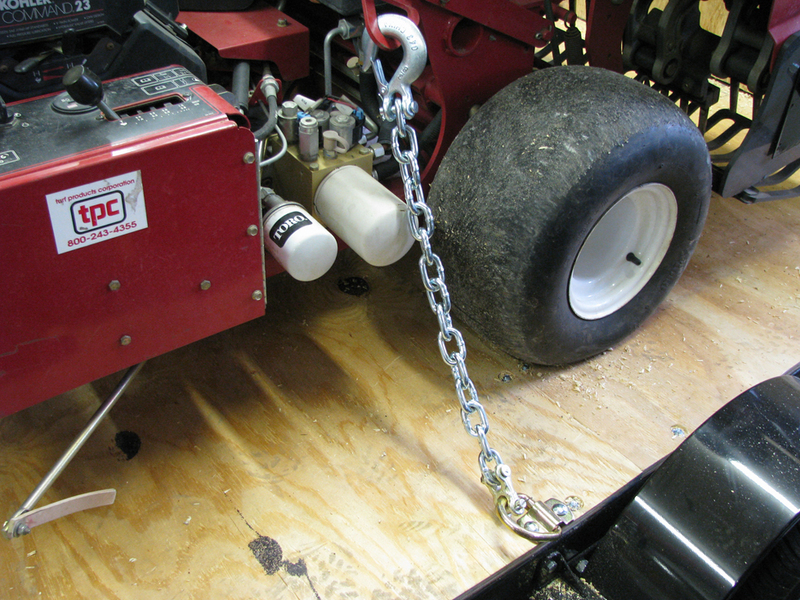 The aerator fit very well on the trailer, and was balanced with approximately 50 lbs of tongue weight. 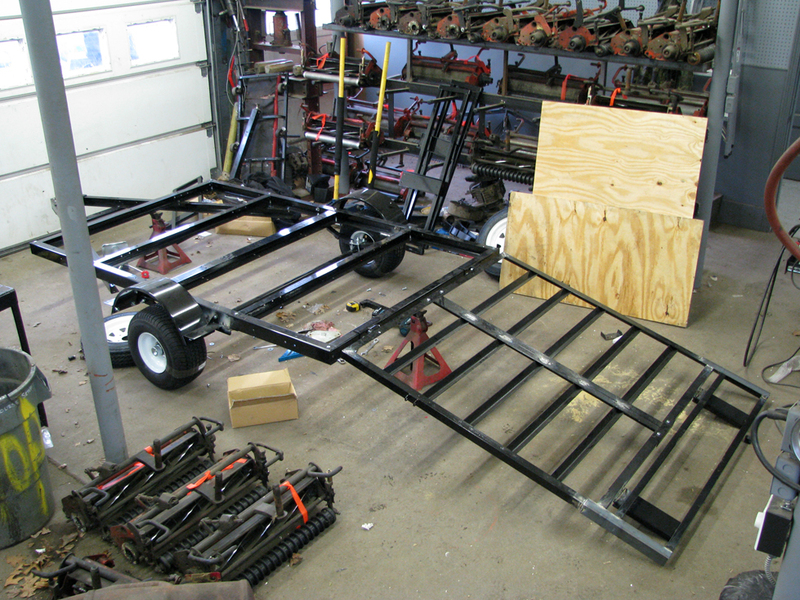 It will be pulled with our newly fabricated material hauler, which we’ll showcase in the next post from The Shop.